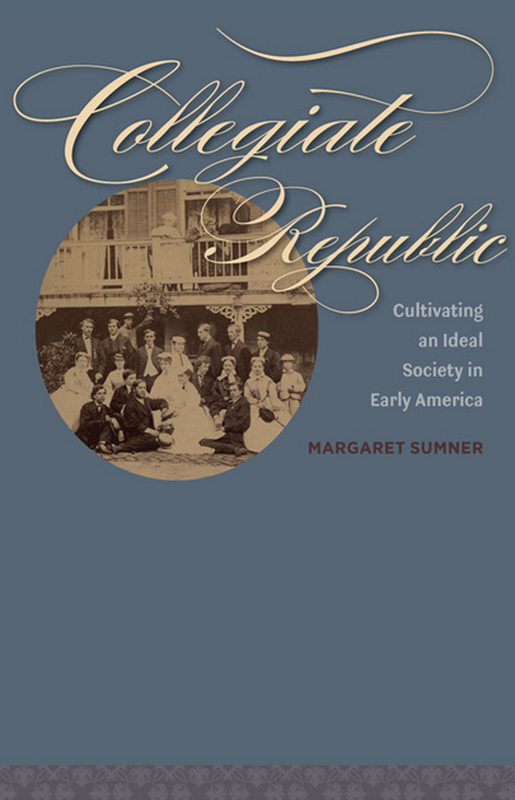 Just finished the first of my Christmas present books – Collegiate Republic: Cultivating an Ideal Society in Early America by Professor Margaret Sumner. A combination of my interest in tracing the history of certain ideas through American history (e.g., virtue, self-interest, the good, utopia, etc. ), book hunting, and the history of higher education led me (and my Christmas list) to it. My main complaint is that at 202 pages, it wasn’t nearly as dense as I was hoping. In short, the book is sold as a historical overview of the earliest stages of higher education in post-Revolution antebellum America (the post-Revolution qualifier is significant: I hoped the book would talk about the history of Harvard too, but being established in 1693 meant it did not make the cut). In reality, the book is divided into five stand-alone chapters and only scratches the surface of each area it covers. The biggest point of frustration came from what the book did not explain. In particular, early on Sumner tells us that these early colleges and college families were interested in promoting “virtue,” “the common good,” and “self-sacrifice” amongst students (and society at large). But Sumner never quite explains what these concepts mean to these people, at that time. And, in fact, her highest level conception of the relationship between these undefined concepts seems to change. Early on she casts self-interest and self-sacrifice as opposing forces, with self-sacrifice associated with the common good (p.34) while later (p. 104) she conceptualizes self-interest as potentially compatible with the common good. “College families were not only determined to renovate public spaces, they also used those structures considered most ‘private’ to the sider world – their homes and their very selves – to model how self-interest, the element that always threatened their design, could be made to work for the common good.” As I’ve written about elsewhere, I’m particularly interested in (and sensitive to) the changing relationship of these concepts, which means I notice inconsistent treatment of them in a single text. Interesting tidbits about the role of women in college communities and the changing understanding of labor (from exalting the yeoman to revering the life of the mind). Short nice read with a robust bibliography for those interested in further reading. This entry was posted in Book Reviews and tagged academica, bibliophilia, Book Reviews on January 12, 2015 by heathermichellewhitney.